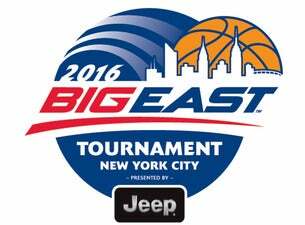 It wouldn't be Championship Week without the Big East Tournament at Madison Square Garden and tomorrow, the 2016 edition kicks off. With a pair of top five teams in the conference in Villanova and Xavier, both of whom are competing for top seeds, as well as some other quality clubs trying to improve their seeding, this weekend should be a fun one in Midtown. Here are my exclusive predictions for the 2016 Big East Tournament. The Bulldogs have been competitive with the Wildcats both in Indianapolis and at Villanova but on a neutral floor, I just don't see it. The Hall has taken a big leap this season and a win here will further that case. They did win in their last meeting with the Musketeers, at home, and they have looked good down the stretch. These two have not played in two months so perhaps it may be difficult to glean a whole lot from those matchups. But on a neutral floor, the superior club will come out on top and that's the Wildcats.